Job search service Indeed has published new data showing that interest in job roles related to bitcoin, blockchain and cryptocurrency declined over the past year. 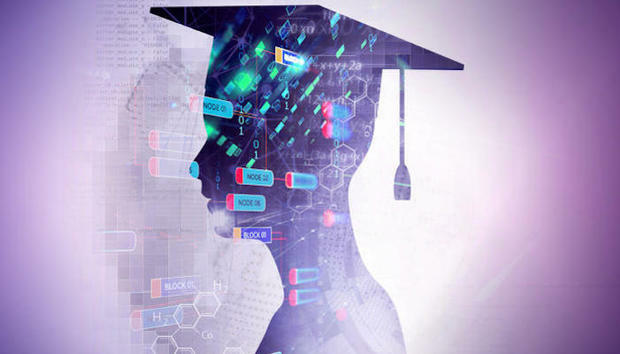 The data, released Friday, flies in the face of other job search sites that have heralded a soaring blockchain-related job market. Salaries for blockchain developers, for example, command as much as $175,000, as there's a dearth in available talent, according to Janco Associates, a management consulting firm that conducts regular salary surveys. By comparison, software engineers earn an average of $137,000, according to Mehul Patel, CEO of the job search site Hired. The number of full-time job openings related to blockchain now exceeds 12,000 – a growth rate of 400% over the past year, according to Janco Associates. Indeed, a job-search site that garners more than 200 million unique visitors a month, reviewed how interest in cryptocurrency has changed over the last year. The data showed that as prices for bitcoin dropped, so did job seeker interest in roles related to bitcoin, blockchain and cryptocurrency, "while employer interest has leveled off," a spokesperson said via email. Over the last year or so, bitcoin has gone on a wild ride, with prices for a single token rising to nearly $20,000 before plummeting by more than half. As of Friday, the price has sunk to one of its lowest points in 2018 -- around $5,500. Meanwhile, Indeed, noted other reports show that technology executives are no longer mentioning terms related to the cryptocurrency in earnings calls. 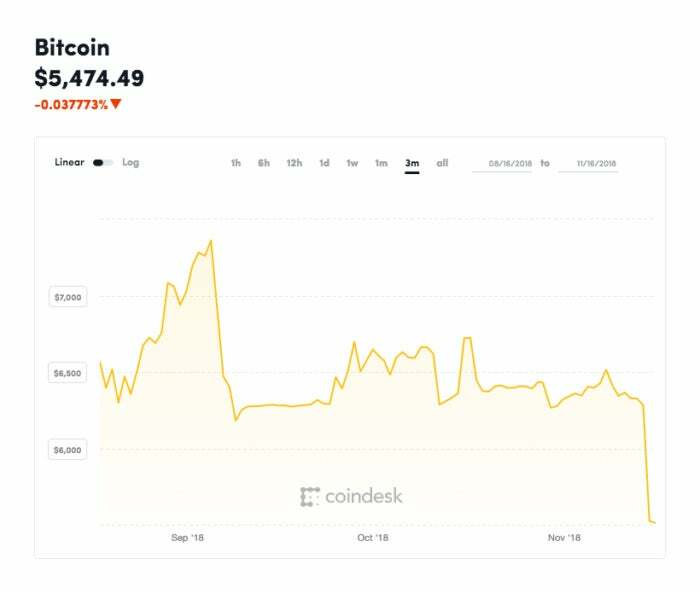 Bitcoin's price has been on a wild ride over recent months. From October 2017 to October 2018, job seeker interest for roles related to bitcoin, blockchain and cryptocurrency declined by 3.06%, while employer interest in those same roles only rose 25.49%, according to Indeed. "Which was very different than the interest levels from the year before by both parties," the Indeed spokesperson said. "If you look at data from the year prior, October 2016 to October 2017, job seeker interest for roles related to bitcoin, blockchain, and cryptocurrency rose by 481.61%, while employer interest for roles related to the same terms rose 325%." 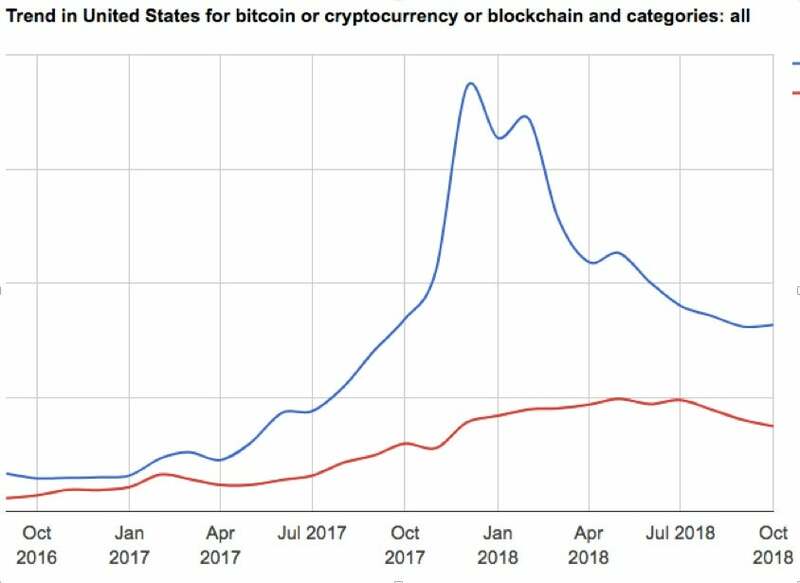 As early as last March, interest in IT pros with bitcoin skills saw a drop-off related to the digital currency's fast tumbling value. Interest in blockchain skills, at the time, remained high. Indeed's research shows while interest has waned somewhat, there continues to be a robust market for those with blockchain and cryptocurrency skills. Cryptocurrency market capitalization is estimated to be $211 billion, according to a new report from auditing and business services firm KPMG. In 2019, the most innovative work involving distributed ledger technology (DLT) – blockchain – will focus on the tokenization of assets, or the ability to represent digital or physical assets and fiat currencies as tokens that can be sold or traded on a network. "Blockchain is still in demand. Much of that is driven by large retail operations that are pushing suppliers to be in their systems," Janco CEO Victor Janulaitis said via email. Bitcoin, Janulaitis said, is another issue. "We do not see much movement on that front. Part of that is due to a bad rap it gets from people who use it for less than legal purposes," Janulaitis said, referring to money laundering. "We could be wrong, but in the long-term bitcoin has to clean up the general perception that hackers are the primary users of that technology." Bitcoin, however, has been hit by some high-profile hacking incidents even as regulators are tightening reins on its use. For example, in the same way that Facebook has been blocking ICO advertising, China is blocking the news accounts of cryptocurrencies and token sites, seeking to starve them of publicity, according to Windsor Holden, head of Forecasting & Consultancy at U.K.-based Juniper Research. "The underlying rationale is that, as many ICOs/cryptocurrencies are believed to be either inherently fraudulent or used for illegal purposes (e.g., money laundering), reducing awareness of them will reduce consumer exposure to fraud and thereby reduce the overall scale of associated criminal activity," Holden said via an earlier email. While blockchain/crypto-focused jobs may be on a bit of a roller coaster, the hot job market for IT pros in general continues – and salaries are increasing, Janulaitis said. An analysis of the IT job market shows that 2018 has seen the addition of 59,500 new jobs, according to Janco; that's 40,400 more new jobs than were created in the same period of 2017. Janco conducted several spot interviews with two dozen CIOs in the last week of October. All of those interviewed said they were actively recruiting for IT professionals for new development activities and replacements for those who have left in recent months. Attrition rates are the highest they have been in the last several years and Janco found that several organizations had slowed the hiring process to absorb the new hires. "CIOs are now dealing with staff retention issues for the first time in several years," Janulaitis said. "To combat this, many organizations have budgeted across the board increases in compensation for 2019 and are increasing current compensation for key IT pros immediately as way to minimize potential loss of key staff. "